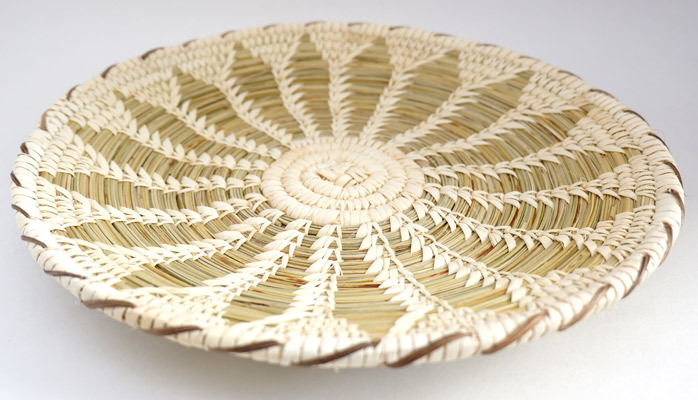 This 10.5" plaque with a split stitch design is handmade by Tohono O'Odham weaver Florence Antone is hand woven with beargrass and soaptree yucca cactus (green and white). 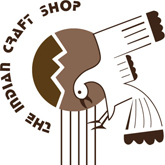 This beautiful plaque makes a nice addition to any collection. 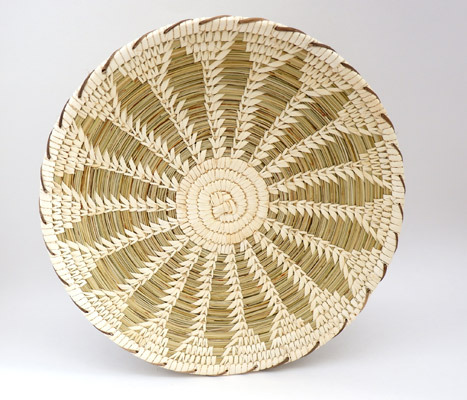 The Tohono O’Odham have used coiled baskets for countless generations for utilitarian, traditional and trade purposes. 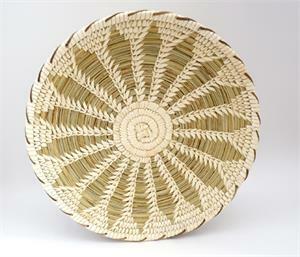 Today they weave more basketry than another American Indian Tribe with both men and women participating. 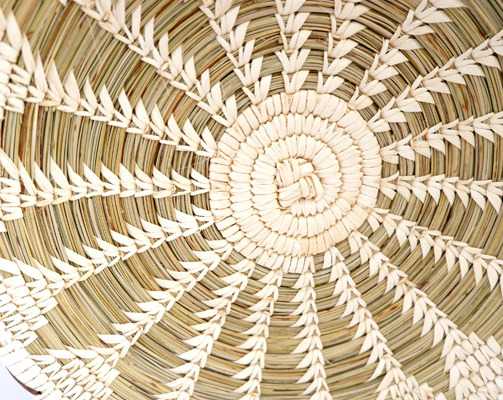 No dyes are used on the baskets which reflect the natural colors of the desert plants.